An affordable, comfortable flat with hotel like presentation for you to enjoy during your stay in Queenstown. Free WIFI for your use and Sky Movies for the days/nights you wish to stay inside. Off street parking available outside flat. Graze Restaurant, Bar and grocer in Lake Hayes Estate only 2 minutes away. Five Mile Shopping Centre and Frankton Shops are five minutes away with a Countdown Supermarket and a choice of eateries and bars. Remarkables Shopping Centre with various shops including a New World Supermarket and more restaurants and eateries 10 minutes away. Queenstown has so much to offer with its Restaurants, Wineries, adventure tourism attractions, golf courses, bike trails, ski-ing, lakeside walking trails or just a relaxing weekend away! The early morning autumn frosts were no match for this lovely little apartment, as the heating was great and kept it lovely and toasty. It had all the facilities I needed for me and my little travelling companion, Max, and was immaculately clean when we arrived. Kitchen facilities are great, including a decent size fridge, plus the washing machine and dryer were super convenient. Stylishly furnished, great bed and entertainment systems. So cool allowing dogs to stay! The flat is exactly as pictured, comes with everything you need to be comfortable and prepare your own meals. The outdoor space is very nice, however the neighbors would often play their stereo loudly in the afternoons making it hard to just relax and enjoy. Not sure if the unit attached is also a rental as there would be door slamming and lots of noise in the middle of the night as well. A great place, perfectly located between Queenstown and Arrowtown with a very helpful host. Thanks for a lovely stay. The property had everything we needed and location was amazing. 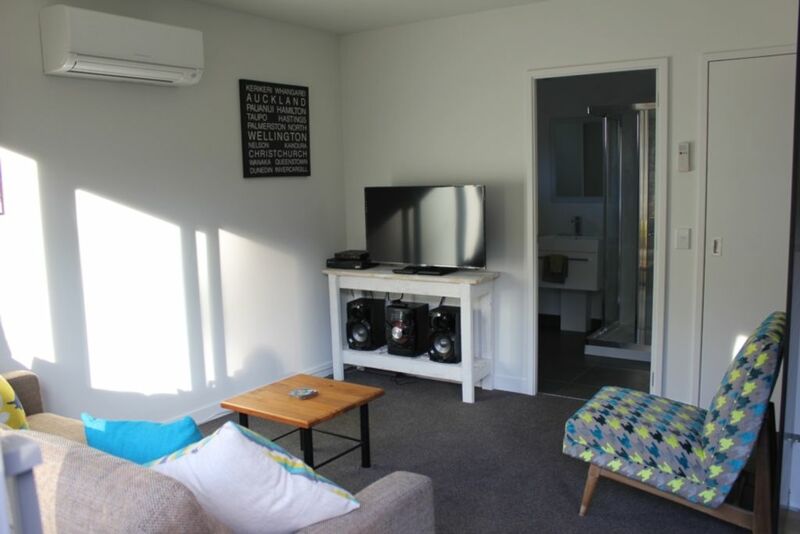 The property is small and cosy but as a very bizy working couple with a 2 yr old the space was perfect for us and meant we spent great quality time with each other and reconnected as a family. We left feeling it was the best holiday we had had and have recomended the property and Frankton/Queenstown to family and friends since. We truely cannot wait to return. Thanks for having us! Loved it! Will be back . very well appointed, warm and cosy and exceptionally clean. Cannot recommend more highly. Lovely warm place, modern and very tidy. Lovely warm place, modern and very tidy. Close to town and everything that is needed. Had a great stay, thankyou!